Animals use their sense of smell to locate food, mark territory, identify their own offspring, and detect the presence and receptivity of potential mates. Of all the animals with a keen sense of smell, bloodhounds—sometimes referred to as “a nose with a dog attached”—stand out. With European ancestors that can be traced back over a thousand years, bloodhounds have been used for their tracking ability to find lost persons, missing children, and escaped prisoners, and are so reliable that their findings are admissible in a court of law. They have been known to follow trails longer than 130 miles (210 kilometers), tracing a mixture of scents emitted by the breath, sweat, and skin that is up to 300 hours old. Humans can distinguish among thousands of different odors. 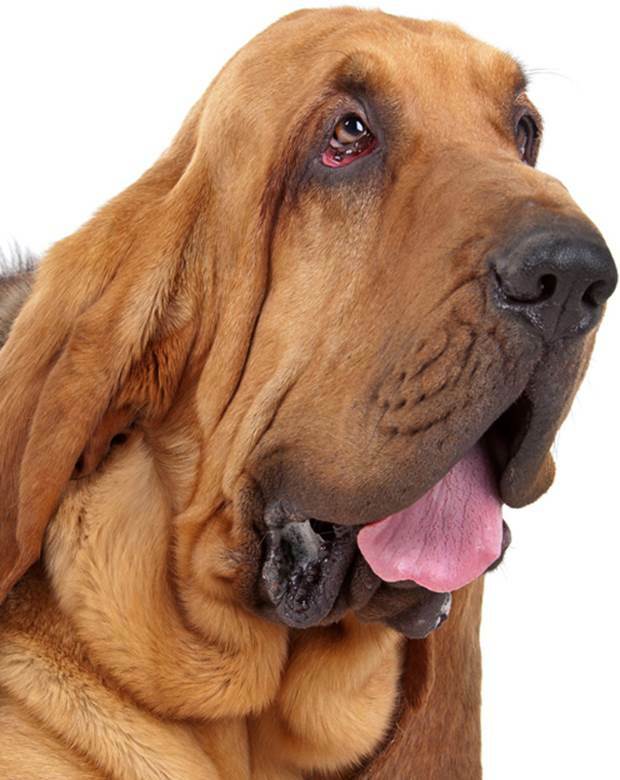 The ability of bloodhounds to differentiate odors is at least 1,000 times greater than humans, whose sense of smell is considered to be relatively simple. The olfactory system is most highly developed in carnivores that hunt. These remarkable tracking abilities arise from the olfactory organ, located in the nose and consisting of modified nerve cells that have several tiny hairs on their surface. The hairs, which contain olfactory receptors (OR), stick out from the epithelium in a small area on the roof of the nasal cavity into a bed of mucus. These receptors are proteins that detect odorant molecules in the air, located on OR cells. As the animal breathes, odorant molecules in the air dissolve in the mucus and bind to the OR, which triggers an electrical signal sent to the olfactory bulb located in the brain for interpretation. OR cells that are selective for different odorants are distributed throughout the nasal cavity. In 1991, Linda Buck and Richard Axel at Columbia University investigated the olfactory system of laboratory rats at the molecular level, studies for which they were awarded the 2004 Nobel Prize. They discovered a family of over 1,000 genes (3 percent of all human genes) that encode an equivalent number of olfactory receptors (OR). They demonstrated that each OR cell contains only a single OR that is specialized to recognize only a few odors. SEE ALSO: Nervous System Communication (1791), Neuron Doctrine (1891), Action Potential (1939), Pheromones (1959). Bloodhounds, sometimes referred to as “a nose with a dog attached,” live up to their remarkable reputation for indefatigability, tracking individuals over tens of miles.